You dance the Argentina tango and wish to do it following the music? Who knows the music of tango better than the musicians do? Who can explain the musicality better than the dancing musicians. 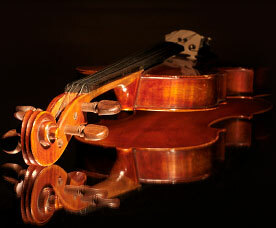 We offer you a series of musicality lessons, developed specially for the dancers. You’ll learn to dance rhythmically different styles of tango, the Argentina waltz and milonga. You’ll learn to hear different rhythms, to follow the music, you’ll learn to create music with your own steps under the orchestra. You’ll discover the difference between steps of tango, according to the orchestra, how to make them and how to lead them in the dance. You’ll learn to dance tango under different music styles- lyric, rhythmic, dramatic tango. When you hear music of Osvaldo Pugliese in the milonga, you’ll never wait seating till the end of the tanda. You’ll learn to dance with your partner feeling the music with each cell of your body. We’ll teach you to live with the music during the dance and to penetrate it like the argentines do. You can invite us to give musical lessons of the Argentina tango in your school or club. Using visual method, we conduct lessons under instrumental music underneath.